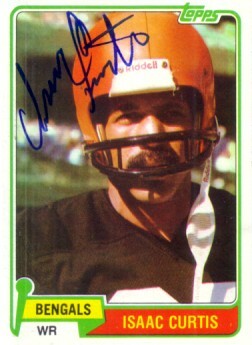 1981 Topps card autographed by former Cincinnati Bengals Pro Bowl wide receiver Isaac Curtis. Obtained in person, with certificate of authenticity from AutographsForSale.com. ONLY ONE LEFT.